Blue Ridge Safety and Health is a distributor for the Zoll AED Plus and all of its accessories. The American Heart Association guidelines are very clear that good CPR and a rapid shock with an AED is the best way to resuscitate a victim of cardiac arrest. 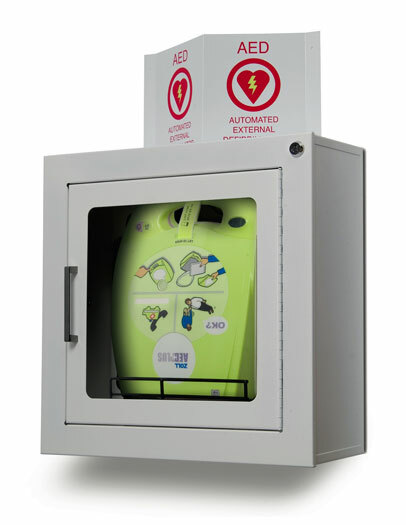 The Zoll AED Plus walks the rescuer through all steps in the resuscitation process, and most importantly, provides real CPR help. We wanted to make the units available at a fair price. 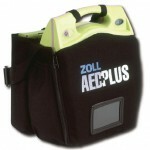 We try very hard to beat ANY advertised price on the Zoll AED Plus. 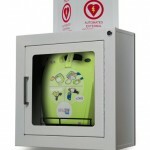 Please look at the demonstration video “Real CPR Help” and contact us for a free quote. 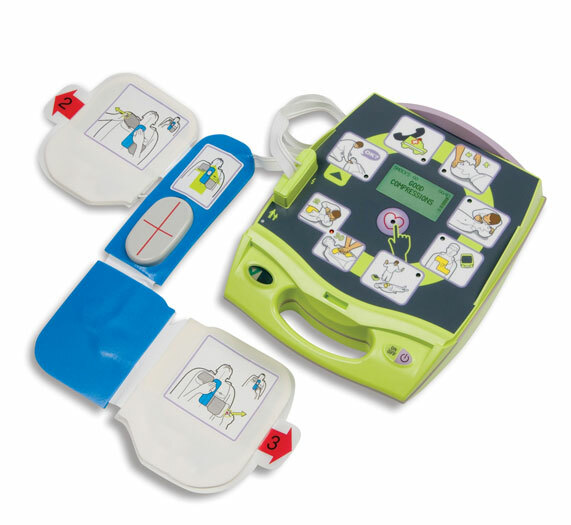 Blue Ridge Safety and Health sells all accessories associated with the Zoll AED Plus. 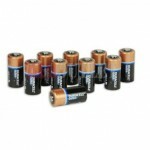 If you need an item not listed below please contact us for information on ordering and a free quote. The five year guarantee on the Zoll AED Plus pads and batteries make the maintenance time and cost the best in the industry! 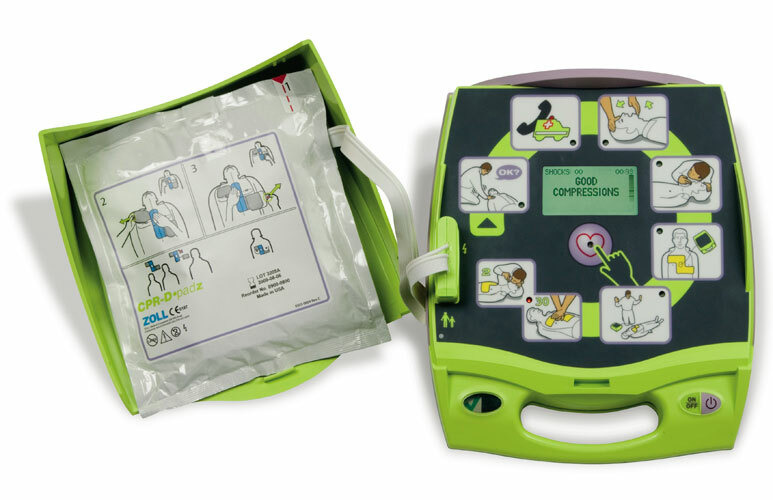 ZOLL AED Plus® with Graphical Cover, One CPR-D Padz and One sleeve of Batteries. 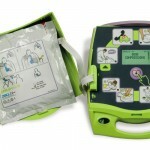 Includes LCD screen showing voice prompt messages, device advisory messages, elapsed time, shock count and chest compression graph, Operator’s Guide and (5) five year limited warranty on AED, CPR-D Padz and batteries. Carry Case is included. 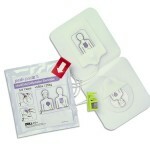 CPR-D Padz one piece defibrillation and CPR System with compression, depth and rate sensors. Supplied with gloves, barrier mask, scissors, razor, wet wipe and dry wipe. 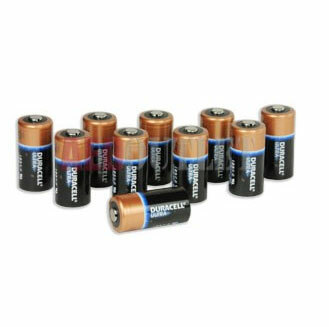 Five (5) year shelf-life. Special “long-life armor pack” for storage in softpak carry case. 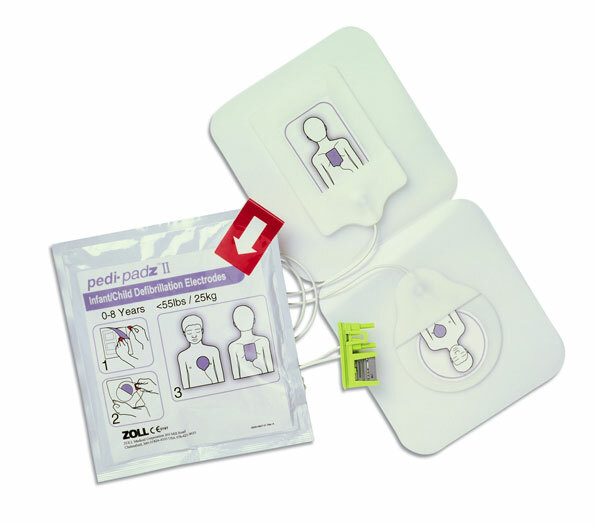 Pedi•padz II Pediatric Multi-Function Electrodes – Designed for use with the ZOLL AED Plus® defibrillator. 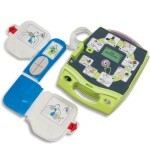 The AED recognizes when Pedi•padz II are connected and automatically proceeds with a pediatric ECG and adjusts energy to pediatric levels. Twenty four (24) month shelf-life. One Pair.